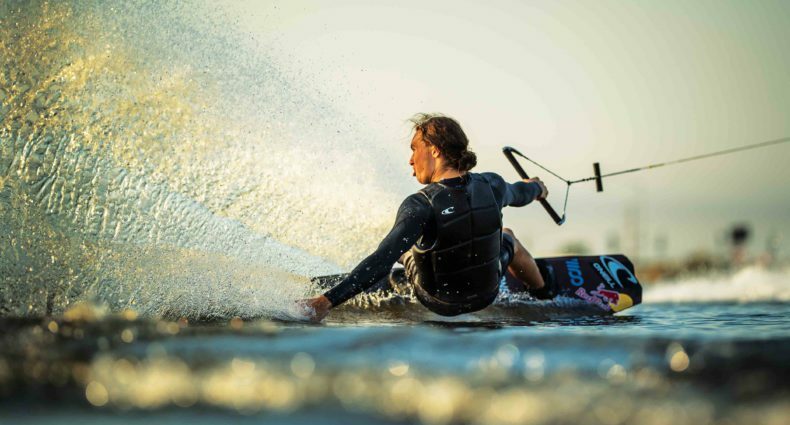 How many wakeboarding theories do you come up with in a day? 20? None? I come up with about one good one a year, and it's my job. But today I actually came up with two within an hour. One was personal and I only shared it with Parks and Shane (because we're BFF, especially lately … PS — until about two weeks ago I thought BFF meant "best f***ing friends", but my girl set me straight.). The other theory was this: lip tricks are going to be an afterthought in wakeskating in about a year. Everyone is going to be doing everything like Aaron Reed and … Matt Manzari (hey, Mikey) who landed a wake-to-wake 360 flip on Thursday. Yeah, he did.